The Woodborough Pinfold in 2000 with the notice that was attached to the gate at that time. The role of village Pinder could often be hazardous. Owners of impounded animals might attempt to rescue them to avoid being fined, and especially if they could be rescued before being impounded in the pinfold itself. Once there they were considered to be in legal custody and penalties for ‘breaking the pound’ could be heavy. The Pinder himself could also be prosecuted for not maintaining the pinfold in good repair. 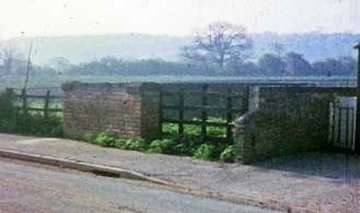 In 2011, the Pinfold underwent a scheme of repairs to the brickwork, new coping stones and eventually a new gate, a full report will be added when the work is complete. 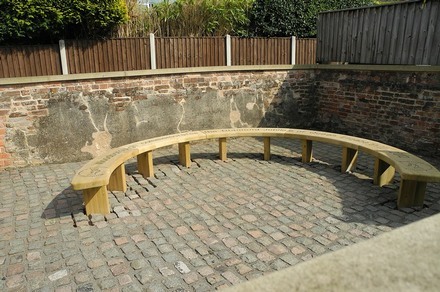 There is an intention to add both low level seating and an interpretation panel when funding is found. A pinfold could be found in most villages at the time of the mediaeval open field system. The pinfold is an enclosure in which cattle and other animals could be detained if found straying or causing damage to property. Animals could also be impounded as an indemnity against debts.In the Middle Ages the open fields had no hedges or fences and it was not until enclosures became common in the 18th and 19th centuries that the enclosed field could keep livestock under control. The Manor Court appointed the Pinder, the officer responsible for impounding animals and keeping them in the pinfold until their owners could be presented to the Court. Like the Village Constables, the Pinder could be appointed annually, or for a period of years. Above left: The external brickwork prior to being re-pointed. Above right: The repairs to the brickwork completed and the coping stones added. 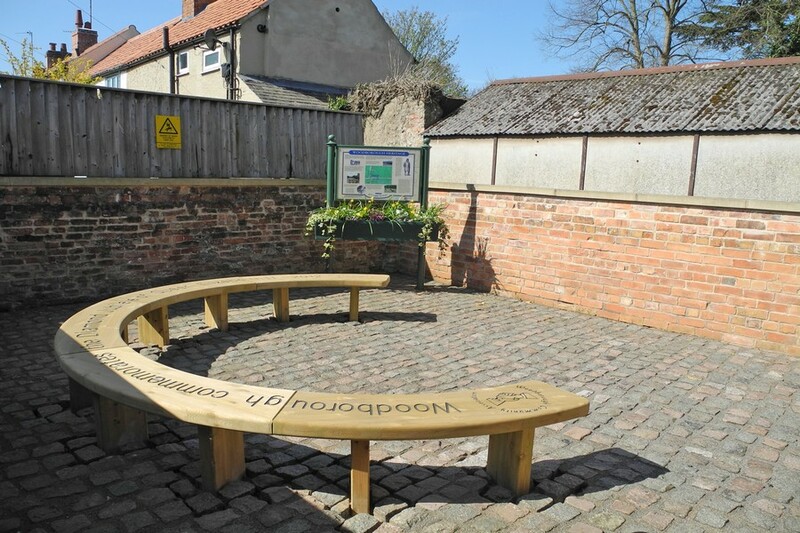 There are some twenty pinfolds left in Nottinghamshire and the Woodborough example is a well preserved square, 20ft x 20ft and built with local red brick with a blue brick coping and granite sets. Its height is between 4ft and 4ft 3ins, with an 8ft gate opening, the gate is timber framed with angle strut and upright slats and has a commemorative plaque. The pinfold is sited centrally in the village, on the east side of the Church of St Swithun's on Main Street. 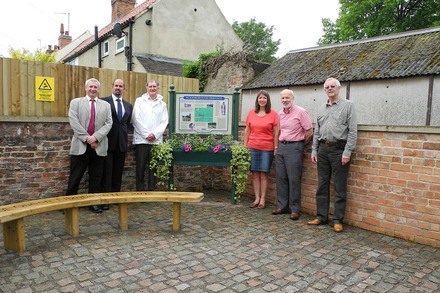 It was restored along with a new gate in June 1978 as part of the Woodborough Conservation Area enhancement scheme. Funding being provided by Nottinghamshire County Council. It is now a Listed Grade 2 structure, which means it has to be preserved. Woodborough Parish Council notes stated that in 1969 "The pinfold on Main Street had been registered as common land in the ownership of the parish".